Susan has been with Eastward Companies since 1999. She received her Master’s Degree in Urban and Regional Planning from Virginia Commonwealth University. Prior to joining Eastward Companies, she was the Assistant Town Planner for Harwich. She is an expert in navigating town and state permitting processes including presenting projects to Planning Boards, Boards of Health, Conservation Commissions and Zoning Board of Appeals. In addition, Susan has been staging Eastward model homes since 2004. 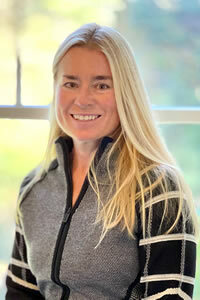 In her spare time, Susan enjoys walking her dogs, reading, weight training, paddle boarding and weekends at her second home in Vermont.